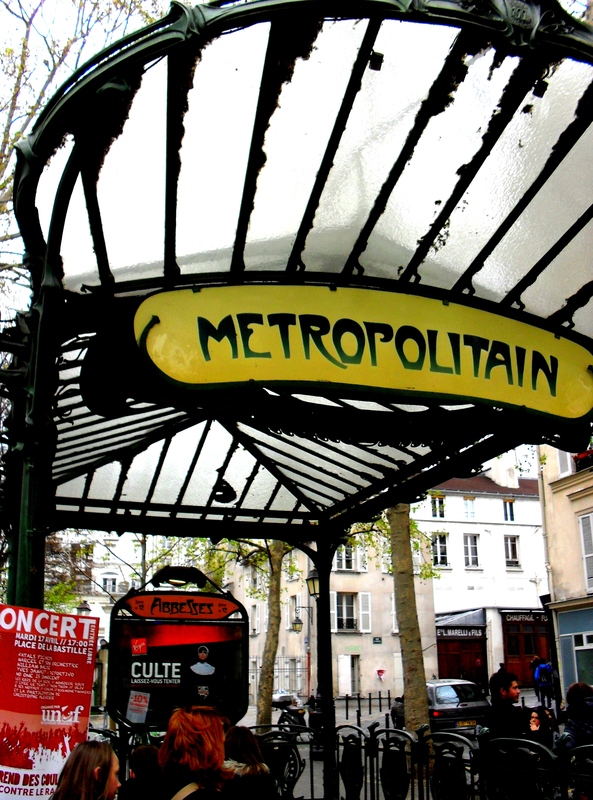 Hector Guimard’s art nouveau masterpiece. mais je l’ai rattrapé tout de suite. but I caught it at once. Welcome to French Friday. I am trying to improve my French and so each Friday I am attempting to write a little poem in the hope that something in my rapidly ossifying mind will stick. This poem was inspired by my journey to work today. I would love for you to share any French quotes or poems links in the comments for others who are looking for inspiring French to read. Any French speakers who find this full of errors please let me know as I need to improve! Just today, when driving to work, I nearly allowed myself to believe I was completely happy. It was not a particularly delightful morning, the traffic was not perfectly flowing nor indeed had I won the lottery, however, something started welling up within that I determined to be the feeling of utter happiness. I could almost feel a spontaneous smile appearing on my face and a delicious calm washing over me. Thankfully I recalled the last time I had allowed myself to feel this way and the horror that ensued when I allowed the feeling full reign in the office. I quickly made myself focus on the ongoing dull pain beneath my gold capped tooth and scanned the traffic for a maniac driver to mentally abuse. This did the work and the feeling passed. Lord alone would have known what may have happened if I had not. Is it just me or is it a universal truth that the moment you feel a complete sense of peace and calm and when comfort appears to be wafting over you like the gentle breeze from some angelic electric fan, that is always the very moment fate will choose to drop a large quantity of particularly offensive manure straight into the spinning blades? We have agreed in our office never to mention the phrase, “Do you know, I feel completely happy at the moment” (or any words to that effect), for as sure as eggs is eggs you will instantly unleash the avenging spirit (who by the way seems to be particularly good with technology) and either the phone will ring, a message will appear or an e-mail will materialise that will instantly turn this feeling of unbridled joy into one of wretched anguish. I have long known that only a fool puts into words that their car is running perfectly, aware that this will instantly bring about major mechanical faults on the next journey. Obviously the same baleful spirit that wantonly snaps the timing chain in your car also handles the slaps delivered to those stupid enough to voice their complete happiness. “Life is nasty brutish and short…” wrote Thomas Hobbes (rather pessimistically I must add) but I doubt he awoke the next day to find the world a paradise and that he was immortal. Why then, if we say we are perfectly happy does fate feel compelled to administer an instant punishment? My dearest friend and I have agreed that it is fine to feel tentatively happy as long as you maintain a low to moderate level of terror of the unknown and a fatalistic expectation that the worst is about to happen at all times. This healthy approach seems to work in the main and enables one to slip under Fate’s ever watchful radar. So Bon Weekend to you! And if you happen to feel that you are perfectly happy during this time, be very careful to keep it to yourself. I composed this little poem to express this predicament. I am sure that Baudelaire himself could not have said it more succinctly. But aren’t we all searching for pure happiness? I believe the avenging spirit is all too real, and in my not-so-good moments believe the spirit will avenge proactively instead of waiting for one to slip up and believe all is well in the world. I try to remind myself of the Buddhist notion of the half-smile as representing serenity, for it is only half because one does not forget there are those who suffer. You have a great weekend, too. To be honest, my beloved is out of town so it could be better.